A shorter version of this essay was sent out on a Binders email and appears on Bindersink. I’m writing from a coastal town in southeast England, where sea kale the size of Easter baskets proliferates along the rocky shoreline, and the stinging nettles and blackberries flourish along the hedges. The sea kale is protected here, so I leave it alone, but it doesn’t stop me from coveting it out of the corners of my eyes and desiring to serve it up to my family for dinner. I became a forager because, as an inner city kid growing up in an apartment building, I didn’t have access to a garden or wide, open spaces like this. As a bookish, only-child, raised by a single mother, I was always on the search for something, whether it was wild garlic, or clues about my father and his whereabouts. 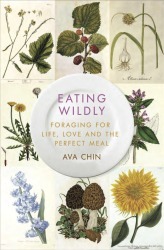 My debut memoir Eating Wildly, about how foraging for edible plants and mushrooms helped me to heal up from childhood wounds and find reconciliation and true love, was borne partially in response to folks asking me how I became attracted to foraging in the first place (and eventually became the NY Times’ Urban Forager). Eating Wildly has been out since mid-May, and this trip is an attempt to recuperate after the chaos of book tour—and before the fall events hit. Note: If your book is not the lead title at your publishing house, you will be required to do most of the legwork (and all of the financing) on your own, so here are a few of my top tips for navigating this roller-coaster ride—including taking much-needed breaks. Be prepared to use those frequent flyer miles. While you should always ask your publisher to cover your expenses, if you’re, ahem, a mid-list writer like most of us, your best bet will be to keep those frequent flyer miles handy, as there’s a fair chance your publisher won’t pay for your flights. Log those gas receipts and car mileage too for your end-of-the-year tax expenses. Make Author BFFs. Authors whose books are coming out a season or two ahead of yours can light the way, and may feel less competitively towards you than authors whose books are coming out in the same month. Among my arsenal were: this James-Beard-award-winning investigative food journalist and this beacon of generosity who teaches people to face their fears. Take your new BFFs out for drinks and learn from their war stories. These are the same people who will calm you down as your expectations for your book are inevitably shattered (thank you BFF author who writes about finding love & self-compassion at any age), and help to re-orientate you to see all of the unexpected positive things that will arise. Treat yourself to massages, wellness treatments, and drink lots & lots of water. I got this advice from this dynamic author BFF, who writes about fertility and whose book came out 4 months before mine. She was right: finding any way to relax and breathe during these difficult times is good practice and should be part of any writer’s self-care. Find the social media platforms that work for you. Since we can’t do everything, try to find the platforms that are easiest for you to utilize and which you enjoy. I was on FaceBook anyway, so that was a no-brainer, and my editor encouraged me to be on Instagram, since my work is so visual. Turns out she was right: I love Instagram not only because I can post great shots of edible flora & fungi, but also because I can send post it out to my FaceBook, Twitter, and Tumblr accounts. Lots of bang for a single click. Don’t Do a Traditional Reading. If at all possible, try to avoid just reading straight from your book, or at least keep it short. Your audience is going to be reading your book anyway, so why not do something related? 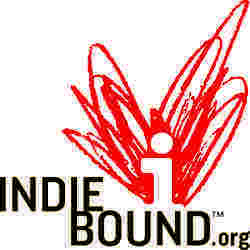 Conversations, panel discussions, and demos all work. I lead foraging tours and present a Powerpoint of the local wild plants that’s visual heavy (and text L-I-T-E). Manage your expectations over becoming a _____________ [NYT best-selling author, getting reviewed in the NYT, or any other major outfit of your dreams]. Here’s where book promo is a little like being single and dating in a major metropolis—it’s nice to have hopes, but it’s even better to have realistic expectations of the market, especially after doing all of the work (read: pre-order promoting) you’ve done before the book comes out. I checked the NY Times Book Review religiously for the first couple of weekends after Eating Wildly came out, even though I knew getting a review or hitting the list was a long-shot, and I inevitably bummed myself out for several weeks. I eventually gave up, although a writer can dare to dream, right? Think of book tour like a marathon, or a theatrical run, or any long-term performance where the engagement is intense, but where the length is finite. It’ll help you get through the toughest times, and to enjoy the sweet ones like when a reader tells you how much they loved reading about your grandmother, or when you get to hug old friends who’ve traveled far & wide to attend your events. Get yourself a song. If couples can have a “song” why can’t you & your darling book? Mine is Chumbawumba’s “Tubthumping.” It’s the one that goes, “I get knocked down—but I get up again. You’re never gonna keep me down!” And it never fails to make me happy. And please don’t forget to take breaks. Whether it’s an afternoon off, or taking yourself out for lunch, or a trip across the Atlantic, breaks are necessary for keeping your energy up for the long-haul, which is what you are in it for. And as for the New York Times? Well, after giving up my dream of being reviewed in my old paper—there are no guarantees, even for former writers of the Gray Lady—and I started focusing on the next book, about how foraging helped me to navigate a rough journey in becoming an older, first-time parent, I received an email from my publicist at Simon & Schuster. This weekend, eight weeks after being released, Eating Wildly is being reviewed in the NY Times Book Review (“Shortlist”)! Sometimes the dream really does come true. It is unlikely that I’ll ever have the “joy” of trying to promote my own book, but I recently helped out a blogger friend by being a stop on her “virtual book tour”. Her niche is chocolate. At least people are usually at least somewhat predisposed to be interested in chocolate. Congrats on the NYT review. Here’s hoping it will be everything you wish for. I’m sure there’s a book in there 😉 Until then, feel free to file it away for future reference. Thanks for dropping by. You’re welcome, Anne! So lovely meeting you last year. Good luck with the book in February—can’t wait to read it.